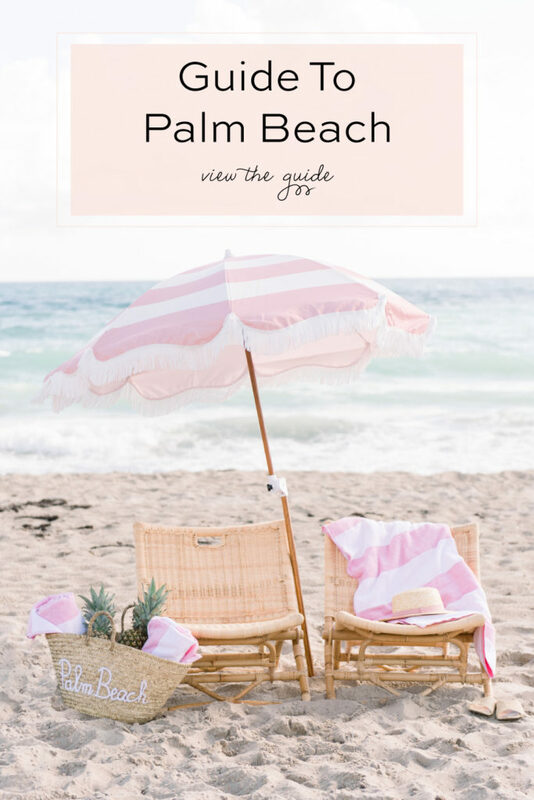 We have been sharing everything we love about Palm Beach on our blog and social media since 2012, but this upcoming season is the most exciting one for us yet! We officially launched our new “Pineapple Pad” vacation rental in the Palm Beach Hotel this month, and our new “Guide to Palm Beach” is also here! With everything we create, we always have you in mind and hope you can enjoy all of the things we love about Palm Beach, too! 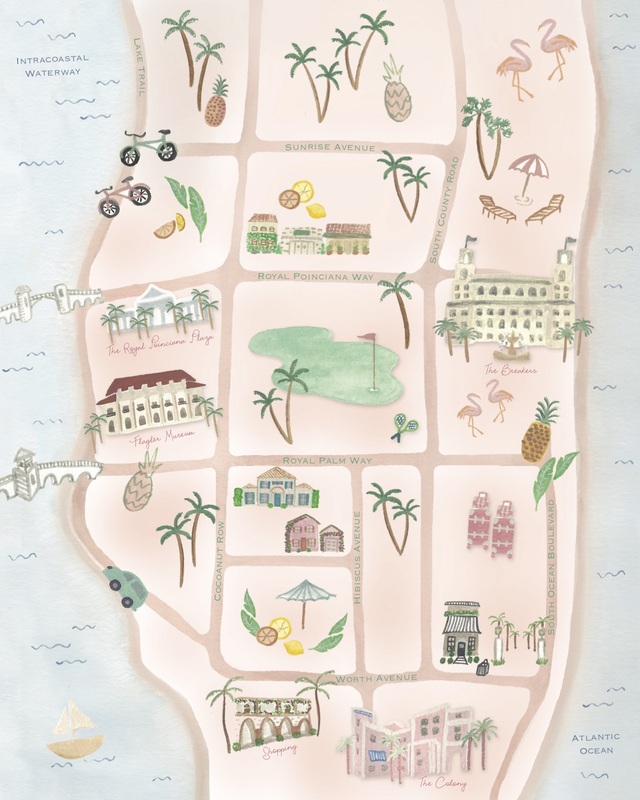 Palm Beach is such a fun island with some really fabulous places to stay! Each spot is unique and special depending on what kind of experience you would like. Our top three suggested accommodations are an iconic luxury resort, a whimsical boutique hotel and our new vacation rental. You can read more about why we love each of them below! The Breakers: This iconic luxury resort has always held a special place in our hearts. We have been coming here since we were teenagers, and Beth even briefly worked here during college. 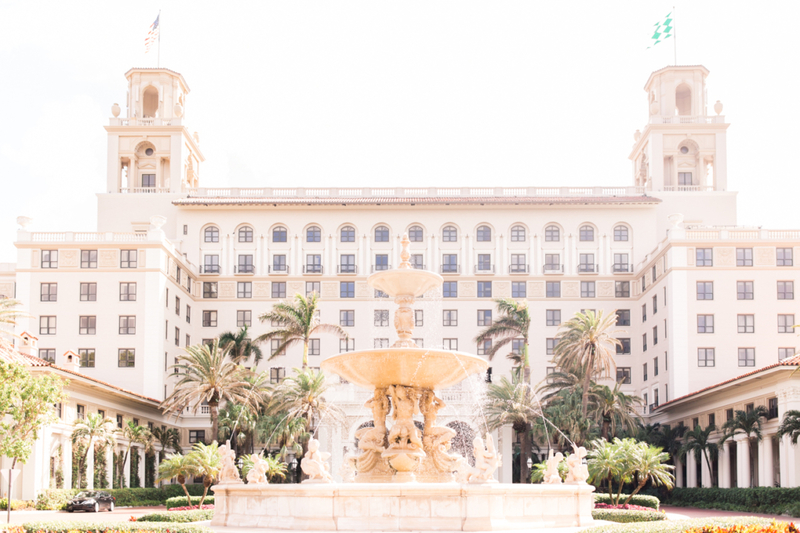 Some of our favorite things to do at The Breakers include staycations, family beach and pool days, spa experiences, special celebrations at their restaurants and venues, shopping at their cute boutiques, golf tournaments and tennis matches! 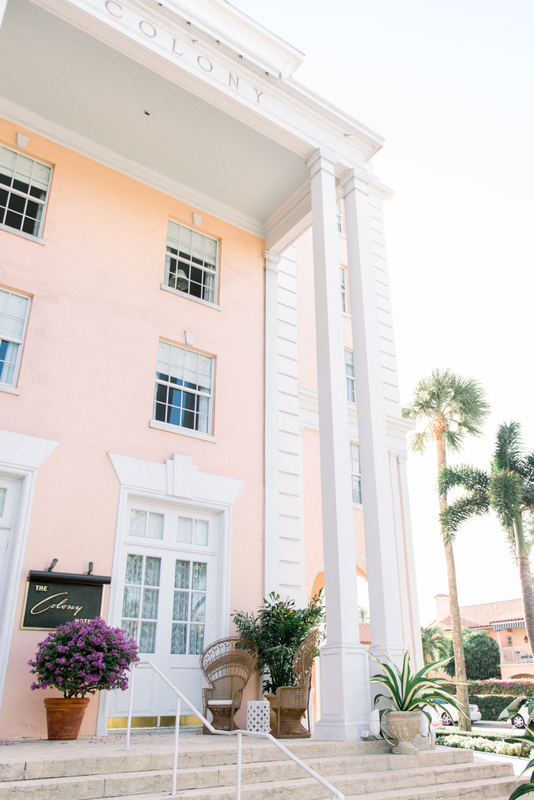 The Colony Hotel: Over the past year, we have enjoyed watching this dreamy boutique hotel make all kinds of stylish updates around their property. 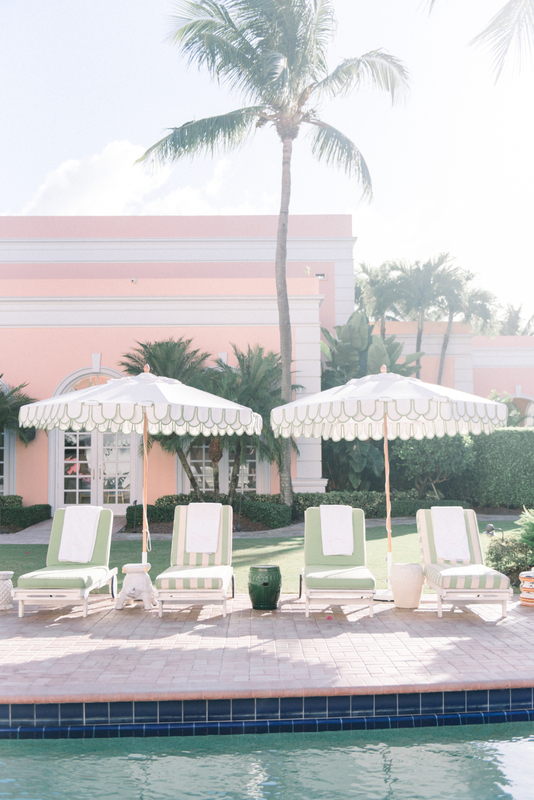 They recently redesigned their gorgeous new Coral Ballroom, revamped their CPB restaurant, updated their pool with striped chaise lounges and umbrellas, and added a beach service with a pink golf cart, sea grape surfboard, striped chairs, banana leaf umbrellas, and pink YETI coolers! Palm Beach Lately’s NEW Pineapple Pad: After nearly two years of dreaming up our own vacation rental, it’s finally open for guests! You can be one of the first to stay in our brand new, 400 sq. ft. condo that features a stylish bedroom, bathroom, living room and kitchenette. 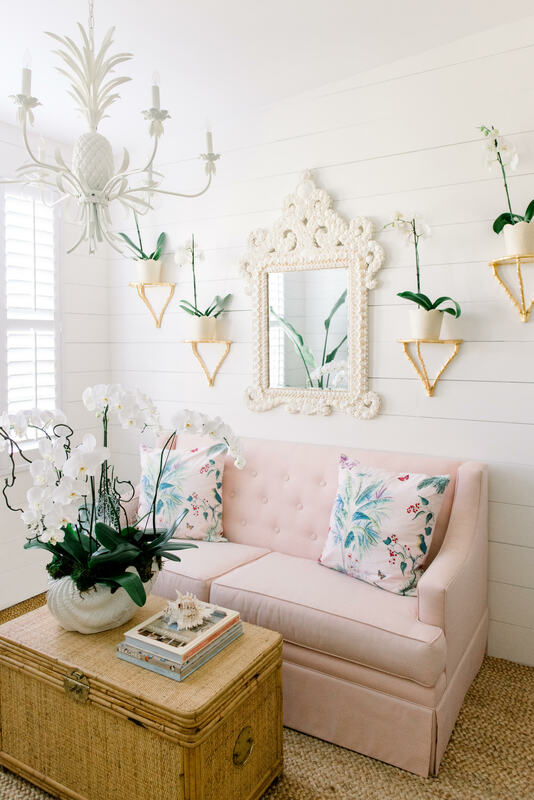 It’s a refreshing and relaxing space, where guests can come to catch their breath from the busy world and have a getaway full of fun, love, sunshine… and pink! 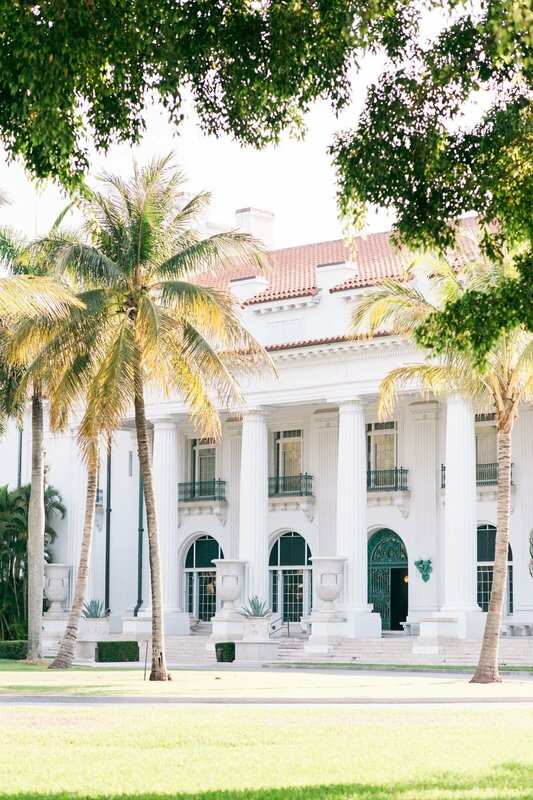 A few other hotels that we also love on the island include The Brazilian Court, The Chesterfield, Eau Palm Beach Resort & Spa, and Four Seasons! The island’s restaurant scene has pleasantly surprised us in the past year! 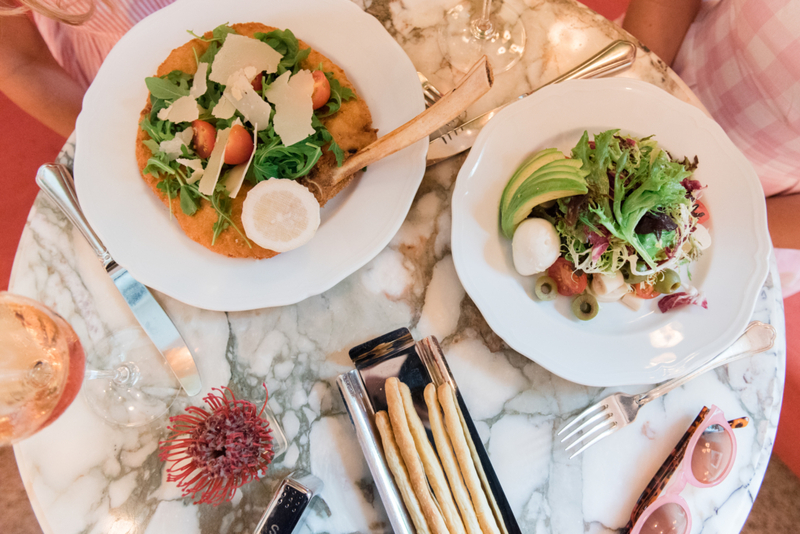 A few delicious, new restaurants are now some of our favorite places to go, as well as the classic spots that never go out of style. Whether you are looking for burgers, pasta, salads, sandwiches, seafood, sushi, tacos or anything in between, you will definitely find the perfect spot below! Buccan: If you are visiting Palm Beach, you must go to Buccan! 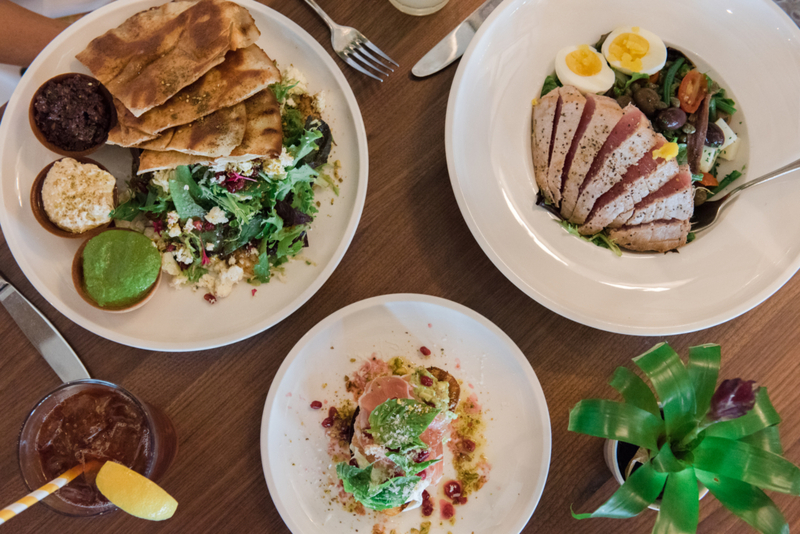 We have been regulars since they opened in 2011 because Chef Clay Conley always creates a great mixture of old faves and new flavors in a lively environment. Their Tuna Crips, Warm Brussels Sprouts “Caesar”, Short Rib Empanadas, and Sweet Corn Agnolotti are just a few of our faves. We also love their sister sushi spot, Imoto, and delish Sandwich Shop – both located next door! 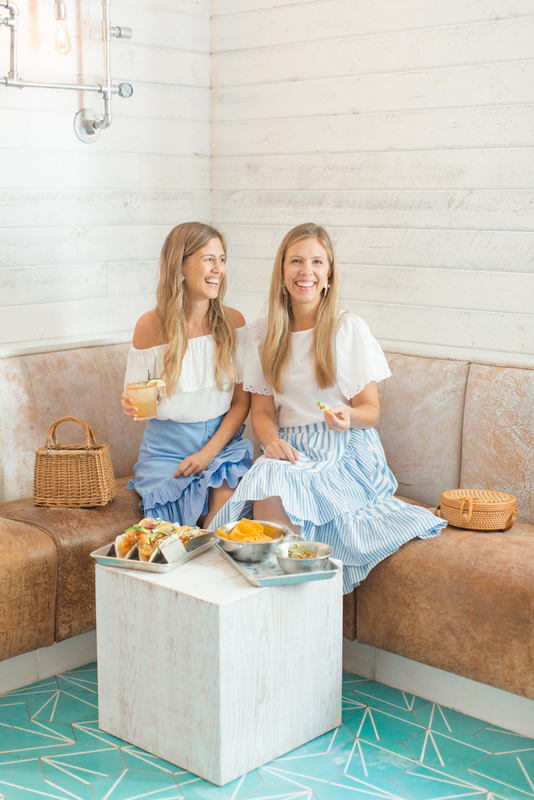 Coyo Taco: This new taco spot specializes in a fresh Mexican street food experience, and we are big fans! We love their tacos with handcrafted tortillas <the grouper ones are our favorite!>, burritos and smashed guacamole. 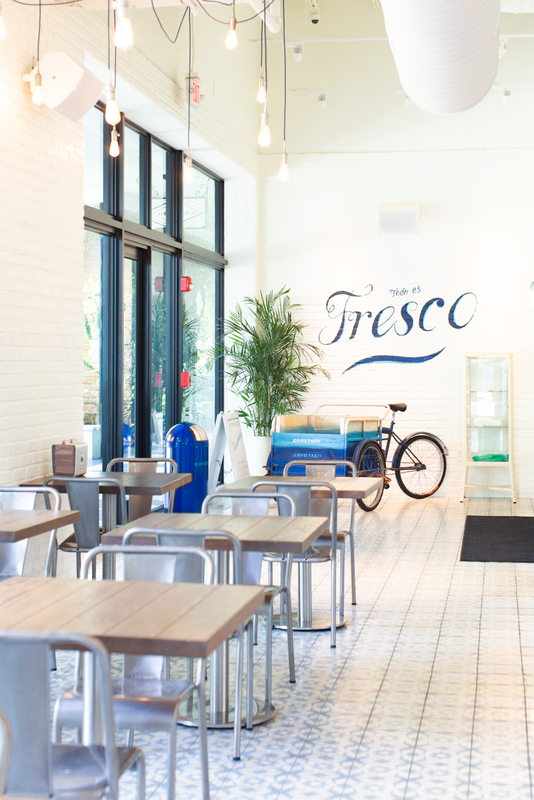 Coyo Taco’s front space is super stylish for quick dining, but if you want to linger a bit longer, don’t miss their space in the back. It has comfy booths, a full bar, tunes, and an oversized tv that is great for watching sports! 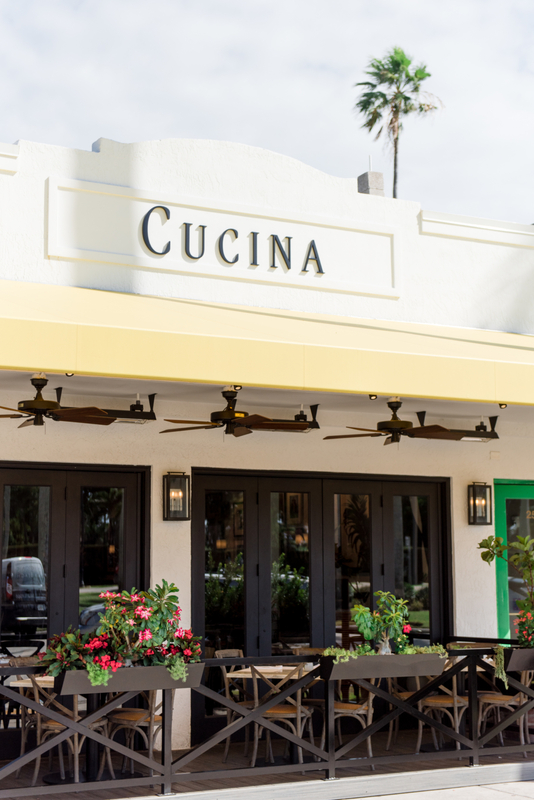 Cucina Palm Beach: Cucina Palm Beach became an instant legend on Palm Beach when they first opened many years ago, and earlier this year, they re-opened with a dazzling new space and menu! 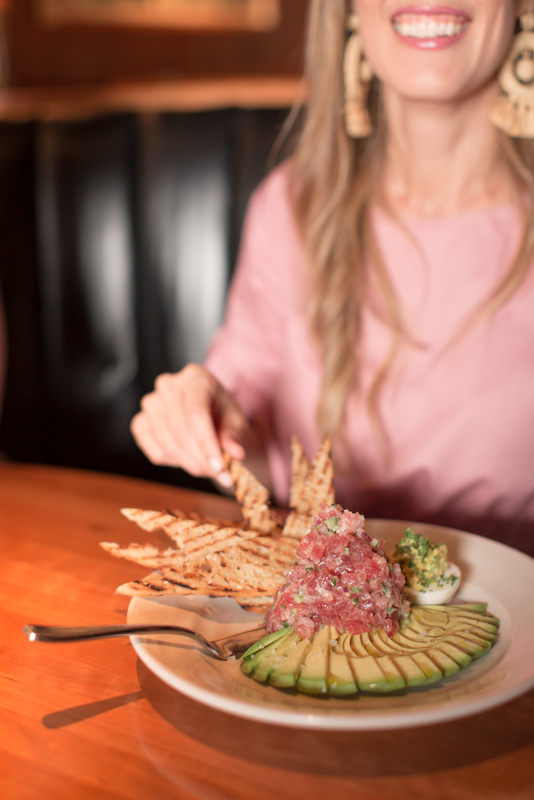 Their sophisticated-meets-eclectic design perfectly compliments their cuisine, and we can’t stop raving about Chef John Kent’s Ahi Tacos, Avocado and Prosciutto Bruschetta, Fried Oysters, Citrus and Beets Salad, Hollywood Cobb, Chicken Milanese, Mussels, and Pizza! Maven: One of the newer darlings on the restaurant scene, Maven, is coming back with a bang this season! 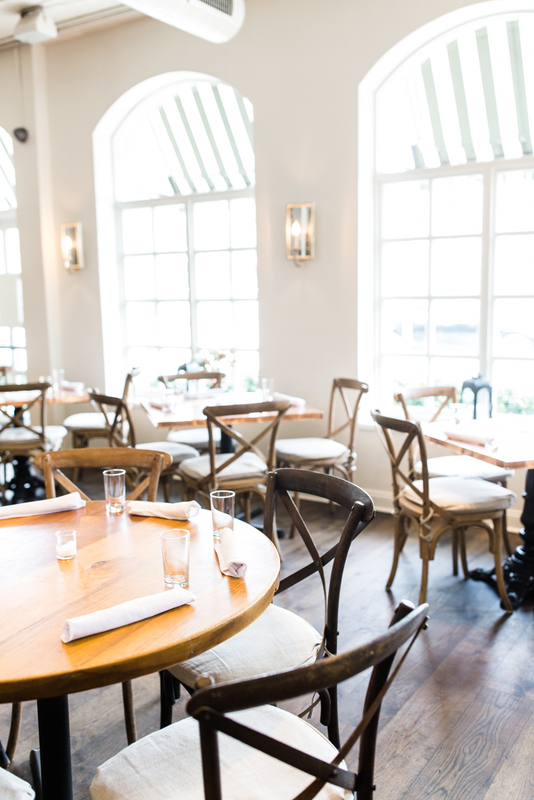 Its two sister restaurants on Nantucket, Galley Beach and Afterhouse Seafood Bistro & Wine Bar, are big hits and this American Brasserie is the new hot spot for delicious seafood and steak. We love their Raw Bar, Lobster Roll, Jumbo Lump Crab Cake and Filet Mignon and can’t wait to try their Saturday brunch featuring a fun, live band! 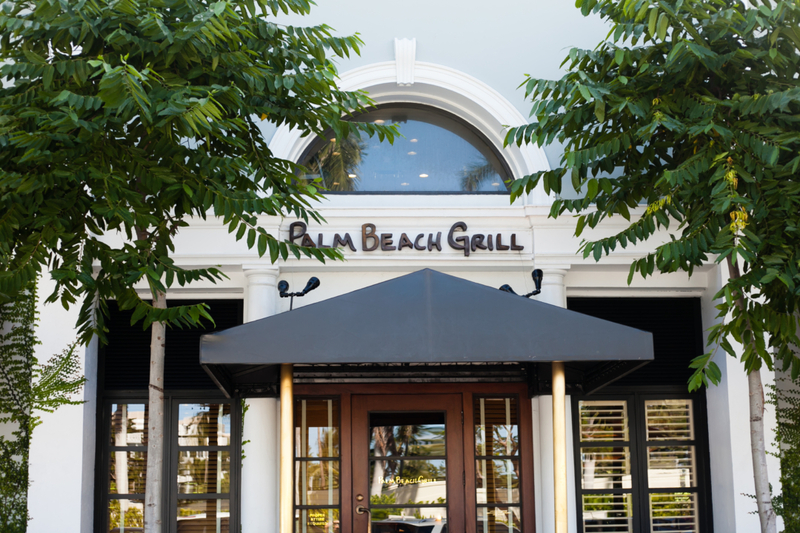 Palm Beach Grill: This classic Palm Beach spot has been serving islanders with fantastic food for nearly twenty years! Known for their excellent service and energetic dining room, The Grill is always packed with happy diners. Some of our favorite dishes include their Stone Crabs, Heirloom Tomato Salad, Cedar Plank Roasted Salmon, Famous French Dip Au Jus, and USDA Prime Filet topped off with a Hot Fudge Sundae! 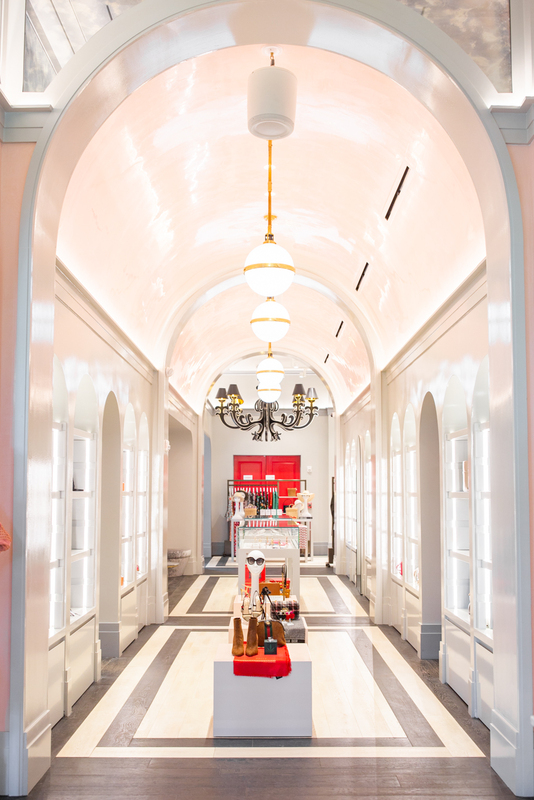 Sant Ambroeus: If you are looking for Palm Beach’s most romantic restaurant, we highly recommend Sant Ambroeus! 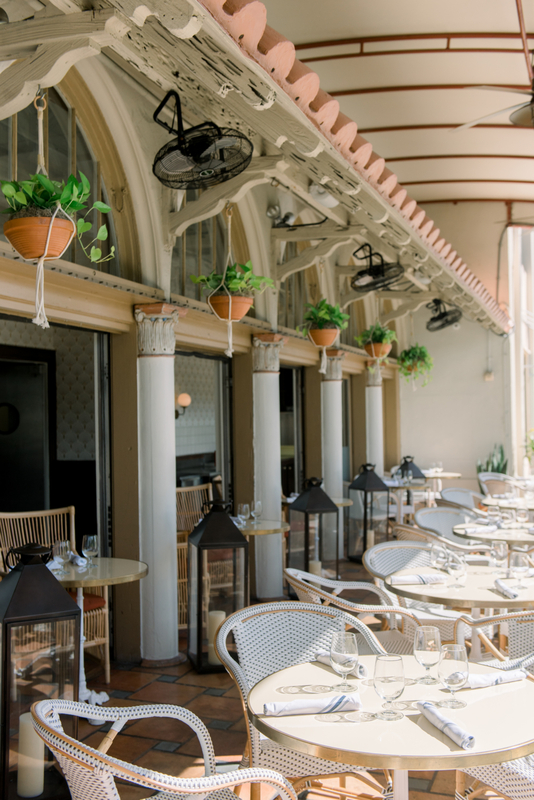 This delicious Italian restaurant is our favorite for al fresco lunches under umbrellas, fancy dinners in the dining room, and quick bites in the café. Our usual lineup includes Chef Marco Barbisotti’s Artichoke Salad, followed by Bolognese or Chicken Paillard, and finished with a housemade dessert or scoop of gelato! 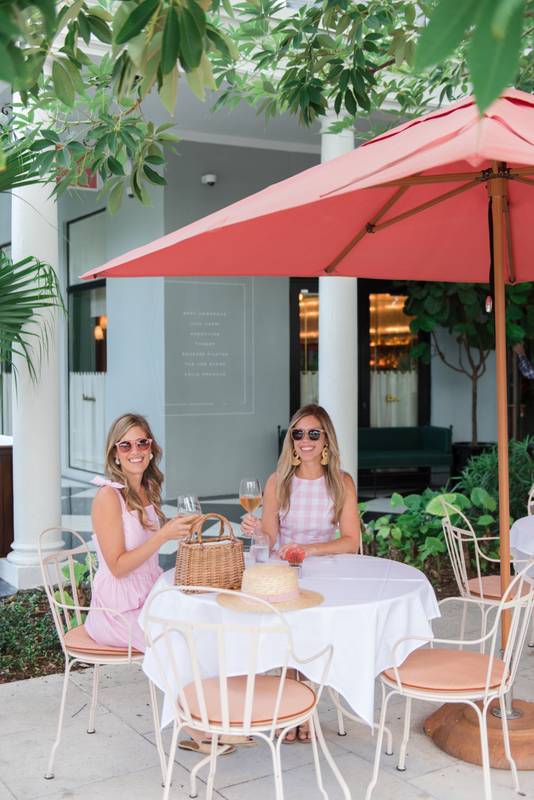 The Honor Bar: This cozy new spot on the island connects to the Palm Beach Grill and is our favorite for lively lunches and happy hour dinners. 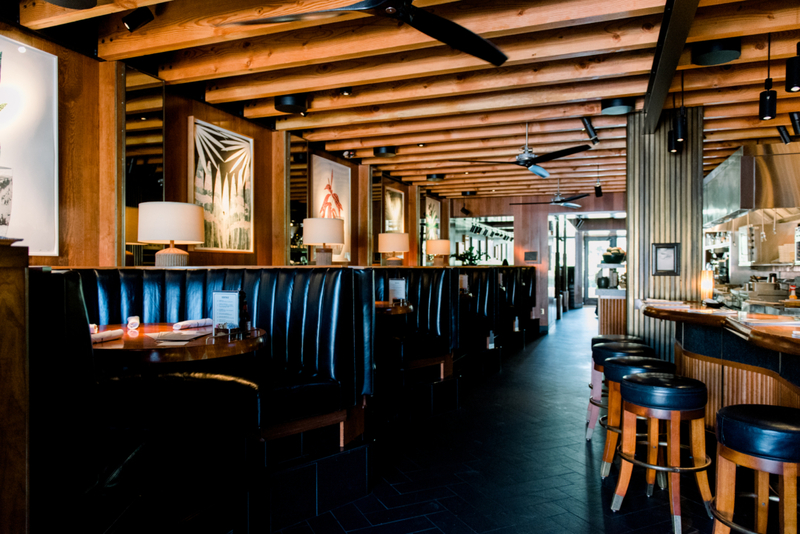 The Honor Bar features 12 booths and banquette style tables and is great for walk-ins thanks to no reservations. They have a carefully curated menu with only the best options, and we love their Dip Duo, Honor Burger, Crispy Chicken Sandwich, French Dip Au Jus, and Macho Salad! On the island, we also love Echo for sushi, HMF at The Breakers for small bites and cocktails, Meat Market for steak, Pizza al Fresco for family pizza night, Seafood Bar at The Breakers for seafood, Surfside Diner for comfort food, and Taboo for classic Palm Beach! 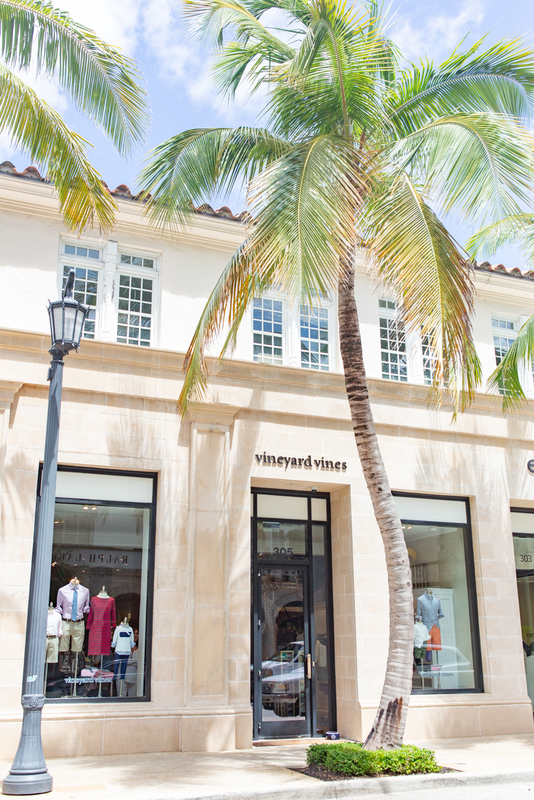 Palm Beach’s shopping scene has really taken off, and we are constantly hearing about new stores opening all over the island! From shopping destinations like The Royal to the quaint vias off Worth Avenue and fabulous local spots sprinkled in between, there is something for everyone at all different price points. Come see and hear about some of our faves below! The Royal – When The Royal Poinciana Plaza completed their total makeover a couple of years ago, we instantly fell in love! There is simply no shopping destination like it, and we are constantly singing its praises. 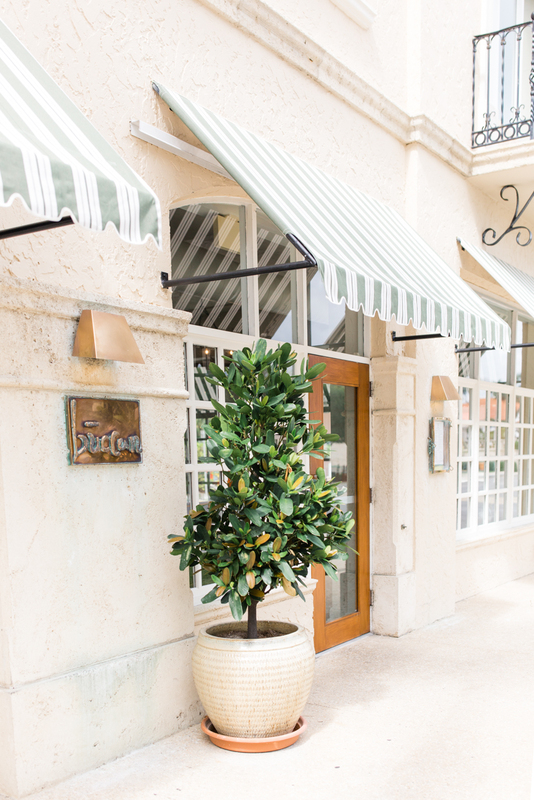 We love bouncing around and shopping their hand selected boutiques that are located throughout the open air plaza. And to complete the perfect day, we like to stop for refreshments at one of their seven “sip + nibble” spots! Kirna Zabête: The most vibrant shop at The Royal is hands down Kirna Zabête! 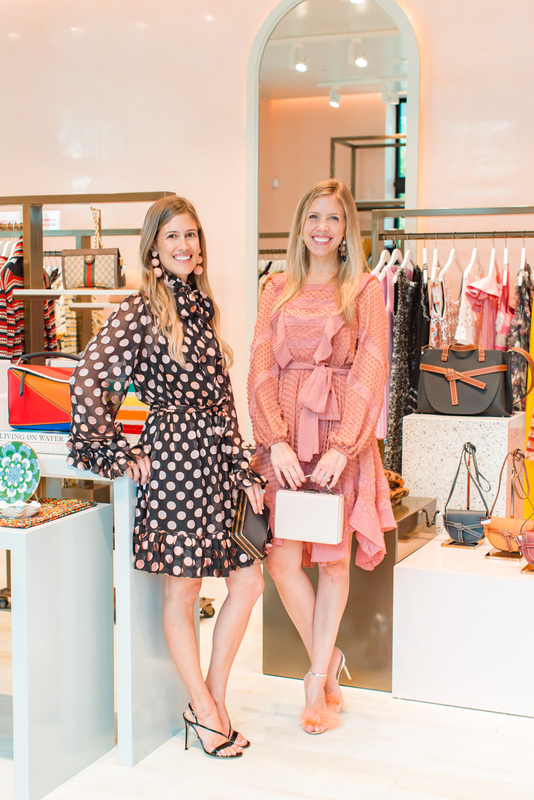 This luxury fashion women’s boutique launched here last year, and we are so lucky to welcome it to Palm Beach! Owner Beth Buccini pours her bubbly personality and impeccable taste into all four of her iconic stores. Beth’s personal style is spotted all through the store with the best brands like Gucci, Zimmermann, Rosie Assoulin, Johanna Ortiz, and more! At The Royal, we also love to shop at Cynthia Rowley for beautiful women’s dresses, Beach by Everything but Water for women’s swimsuits, Orlebar Brown for men’s swimsuits, Assouline for gorgeous books, Bognar and Piccolini for luxury children’s clothing, Hermés and Saint Laurent for fine fashion, and Roller Rabbit for boho clothes and home goods. N. and S. County Road – On the east side of the island running along N. and S. County Road is a great selection of unique shops and boutiques. 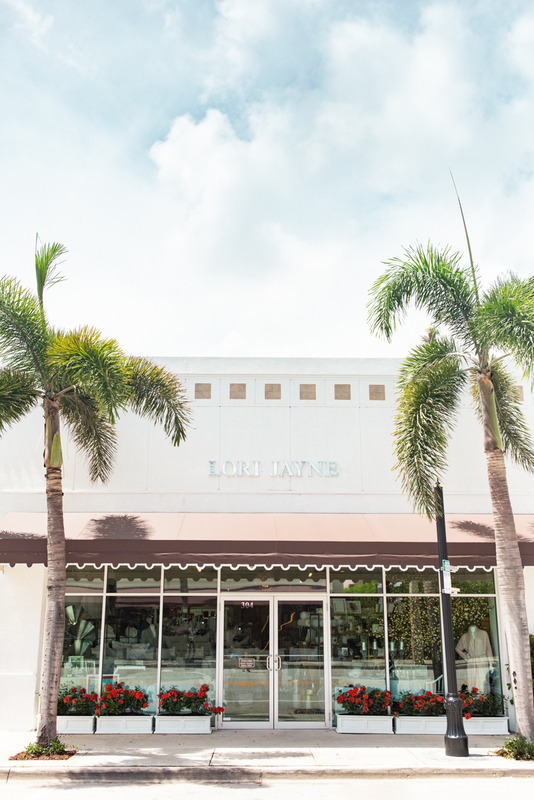 It has a true local vibe that includes surf shops, fashion stores, island housewares, luxury linens, antiques and more! Lori Jayne: It’s impossible to step into Lori Jayne and not leave with something! Her two stores facing each other on South County Road between The Breakers and Worth Avenue are bursting with the best fine linens, gifts and home decor. And our very favorite feature is her unrivaled selection of personalized merchandise all produced in-house. Think custom monogramming, embroidery, engraving, and printing on a wide variety of goods! P.B. Boys Club: Part surf shop, part prep shop, and a little bit of everything in between, P.B. Boys Club has been the popular spot on the island since 1993! Owners Jodi and Rick always stock the store with the latest sunny goodies like colorful swimsuits, surfboards, skateboards, sporting goods, and lots of other fun stuff. We vividly remember coming here as kids and can’t believe we are now bringing our own kids here, too! P.B. Girls Club and Aristokids: The sister store of P.B. Boys Club, P.B. Girls Club and Aristokids, was the first of Jodi and Rick’s two stores to open on S. County Road back in 1988! 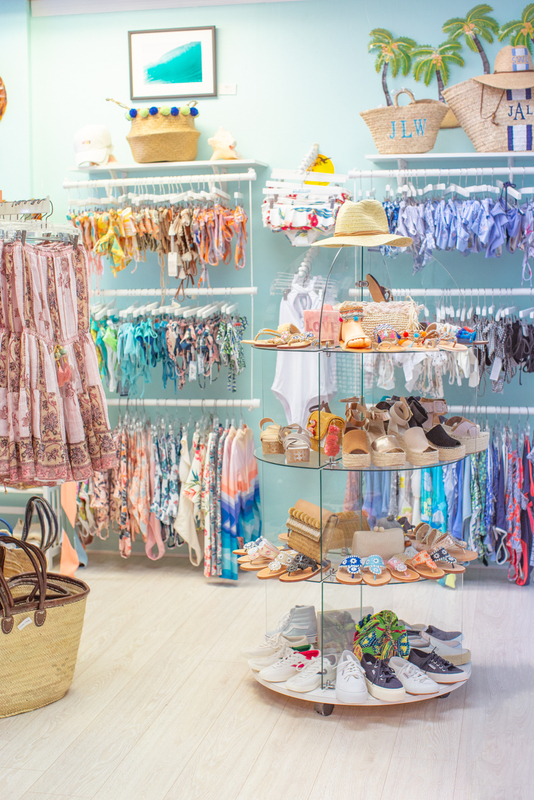 For thirty years, they have taken pride in their family owned and operated boutique that features women’s and children’s bathing suits, clothing, shoes, handbags, and accessories. 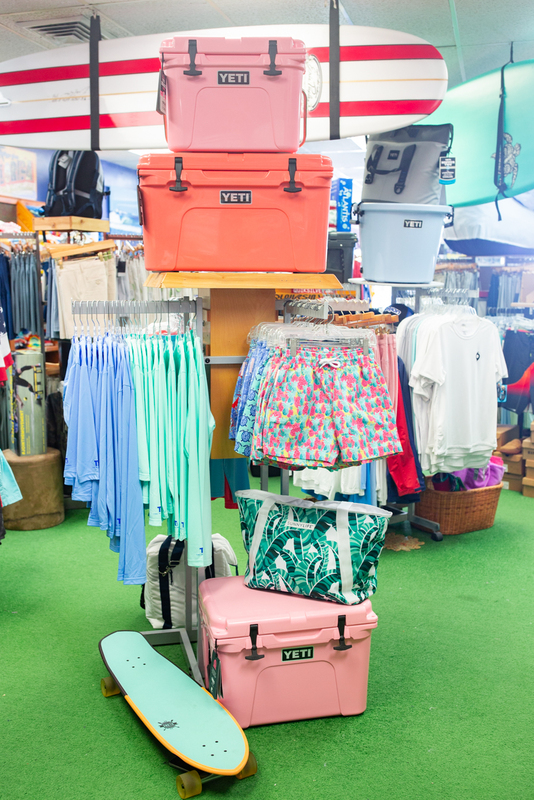 It’s the perfect family-friendly shop to stop by on your way to the beach! The Skinny Dip Palm Beach: We are SO excited to welcome The Skinny Dip to Palm Beach this year! 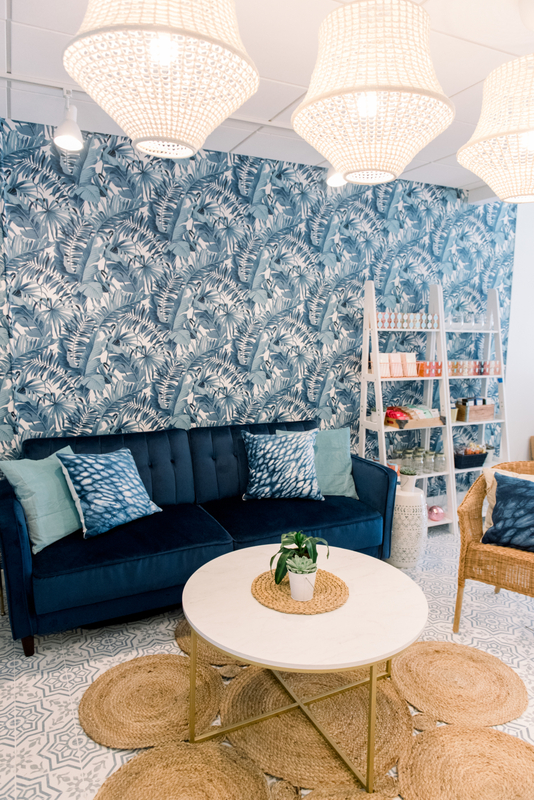 The island’s newest and hippest women’s boutique is already a big hit in Charleston and on Nantucket, and we know it’s going to do fabulous here, too. 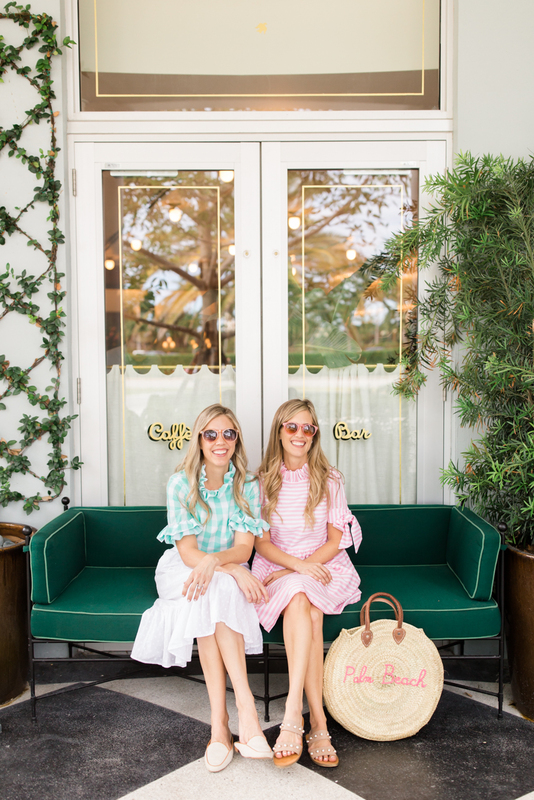 Good friends and owners Sara Rossi and Taylor Ivey are behind the stylish designer collective that perfectly compliments their own brands, Beau & Ro Bag Company + Ellsworth & Ivey! 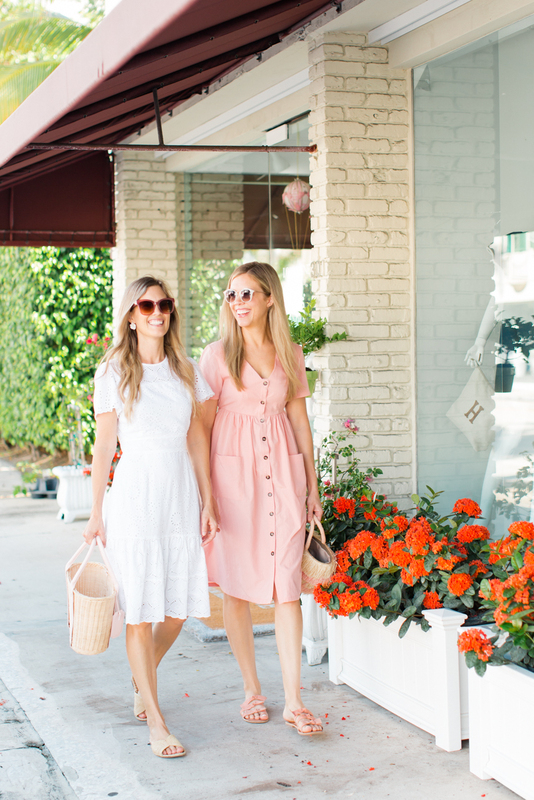 Our other favorite shops in this area include classics like C.Orrico for preppy styles, Lil Rapunzel’s and Rapunzel’s Closet for contemporary styles, Lindroth Design for the best wicker and rattan housewares, and Sequin for fun jewelry! Worth Avenue – Worth Avenue has been a shopper’s paradise dating all the way back to the 1920s! 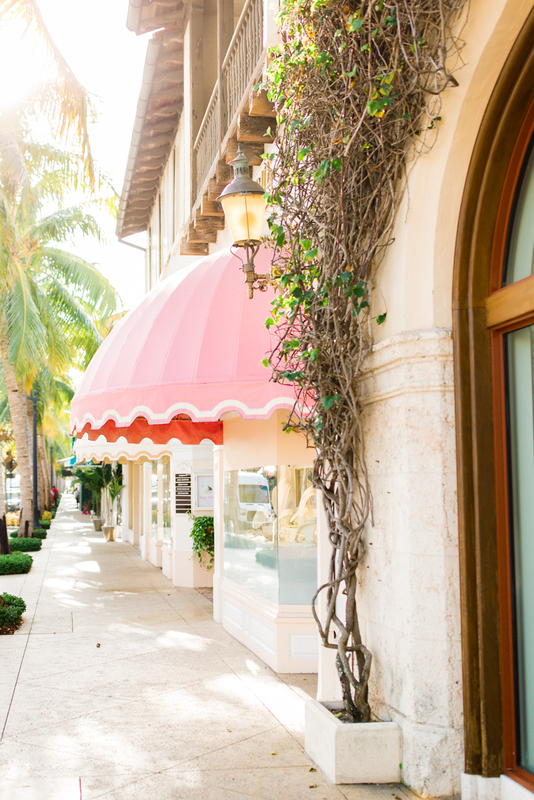 Lined with palm trees and colorful awnings, the iconic avenue is home to luxury department stores, high fashion brands, newly launched lines, and the cutest boutiques! 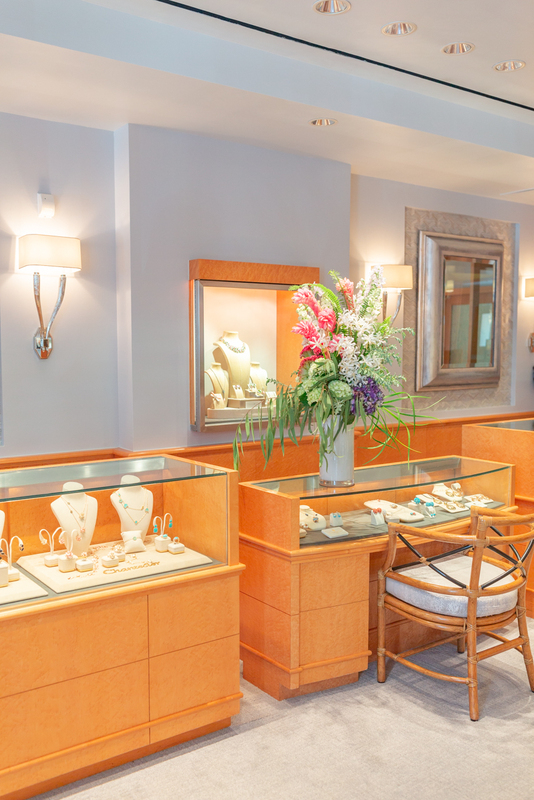 Hamilton Jewelers: If you are looking for a trustworthy jewelry store that is family owned and operated for more than one hundred years, look no further! 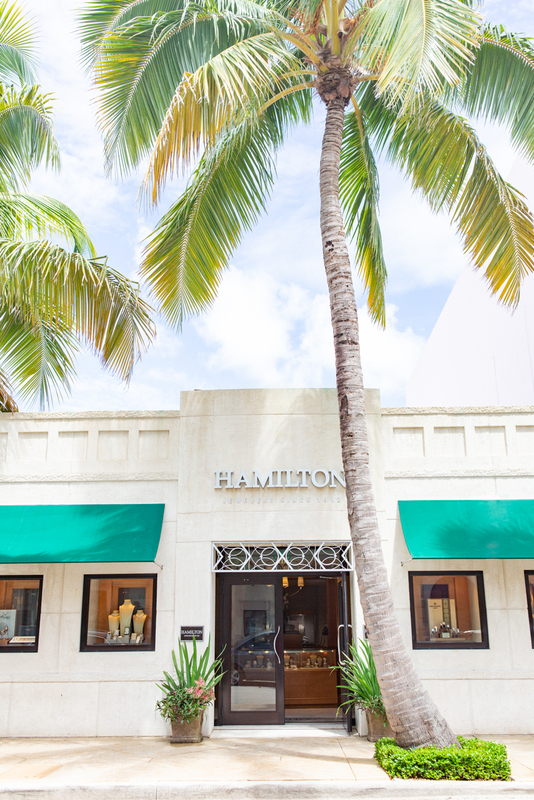 Hamilton Jewelers has been a staple on Worth Avenue since 1977 and continually features gorgeous diamond engagement rings and wedding bands, luxurious watches, and elegant jewelry from brands like Patek Phillipe, Chantecler, Laura Munder and even Hamilton’s own collection! 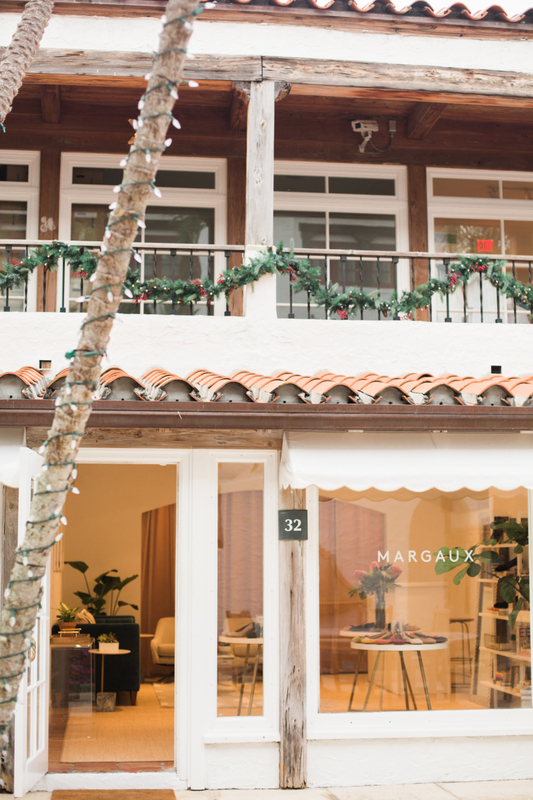 Margaux: Our favorite shoe store on the avenue, Marguax, is tucked back in Via Mizner and features ballerina flats, loafers, boots and heels handcrafted from Italian leather in a family-owned factory in Spain. The best part is they carry three ready-made shoe widths and have the option to fully customize their shoes to your feet. We especially love “The Demi” and “The Classic” styles in Ballet Pink and wear them all the time! 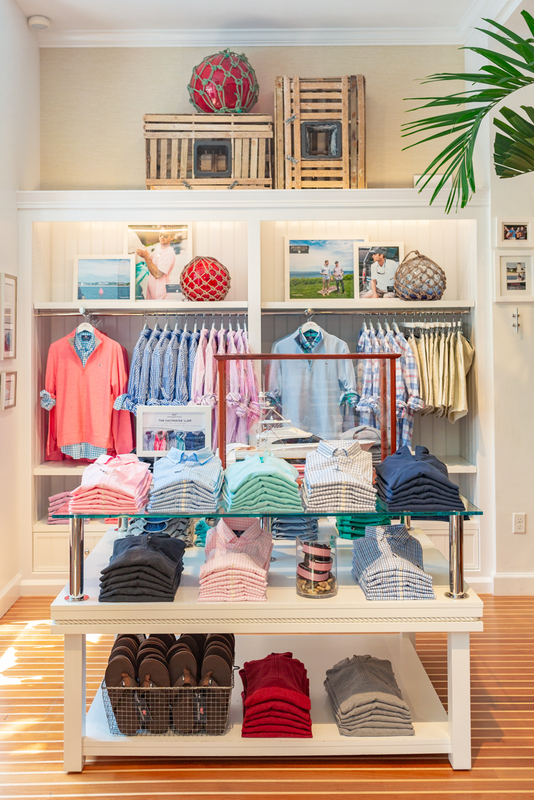 Vineyard Vines: When it comes to dressing the whole family, our very favorite brand is Vineyard Vines! 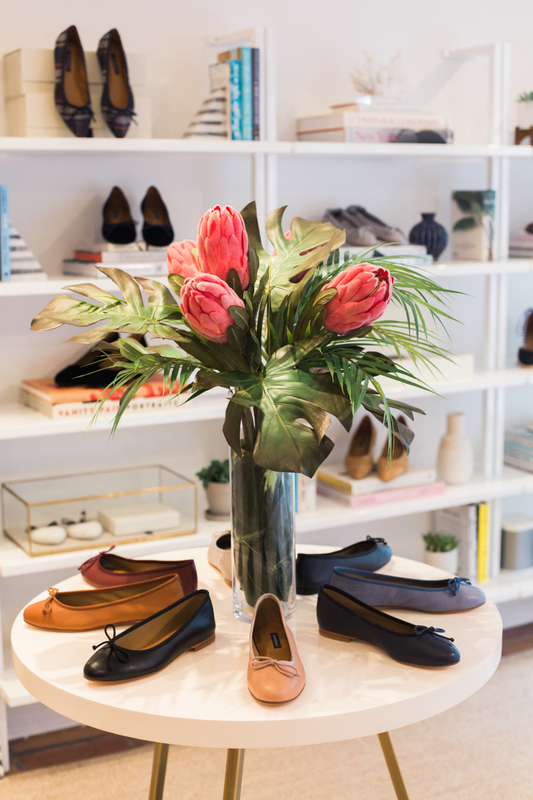 We love the story of the founding brothers and have really enjoyed getting to know the team behind the brand <you may have spotted us in their catalog and stores earlier this year!>. From men and women to boys and girls, Vineyard Vines make it so easy to dress for Florida weather in both comfortable and stylish clothes! We also love Aerin, Bonpoint, CJ Laing, J.McLaughlin, Letarte Luxe, Lilly Pulitzer, Maus & Hoffman, Neiman Marcus, Saks Fifth Avenue, and Stubbs & Wootton! On the island, there are lots of fun things to do! See some of our favorite activities below! 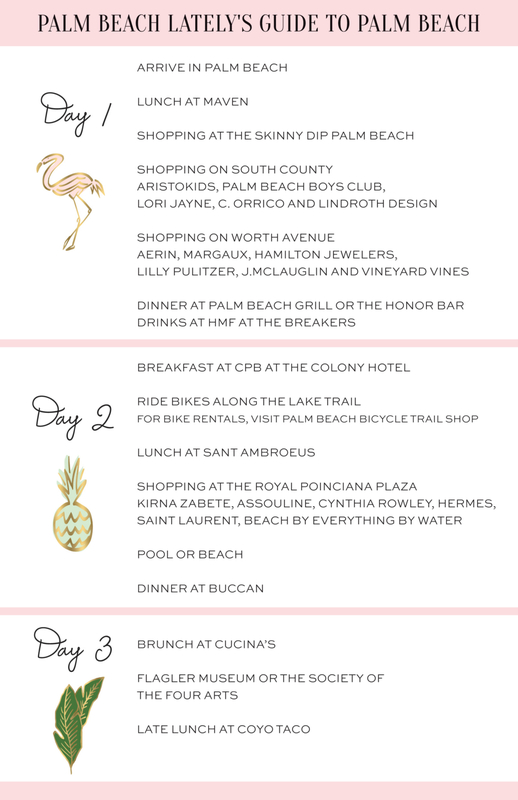 The Royal: When we aren’t shopping and dining at The Royal, we love coming by to rent bikes at the Palm Beach Bicycle Trail Shop, getting our hair blown out at Paul Labrecque Salon and Spa and our nails done at Nail Lab and going to one of their many events! Flagler Museum: The best historic experience on the island is definitely the Flagler Museum. We have been coming here since we were kids and still love hearing about the history of Henry Flagler and walking around the museum. Visitors are welcomed for guided tours, changing exhibitions, special programs, and a special afternoon tea! Some of our other favorite activities on the island include renting paddle boards and surfboards at P.B. Boys Club, going for a historic walking tour of Worth Avenue or visiting the library or attending one of the events at the Society of the Four Arts! 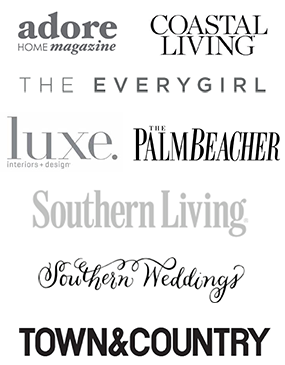 *Thank you to all of the brands who partnered with us on our guide!